The Jerusalem Post reports: Hamas said on Sunday it was “disgusted” by the stance its rivals in Fatah have taken toward Egyptian and UN efforts to end the crisis in the Gaza Strip, and charged Fatah with wanting Gaza to remain under siege and shelling. Hamas spokesman Sami Abu Zuhri accused Fatah of instigating tensions in order to thwart the Egyptian and UN efforts to achieve a truce between his movement and Israel. He said that Fatah was waging a systematic campaign of incitement against Hamas. “Fatah needs to realize that it lost the election,” Abu Zuhri said, referring to the 2006 Palestinian Legislative Council election in the West Bank and Gaza Strip. “Fatah is just another faction and its leader’s term in office has expired.” The Hamas spokesman was referring to Palestinian Authority President Mahmoud Abbas, who is also chairman of the ruling Fatah faction. 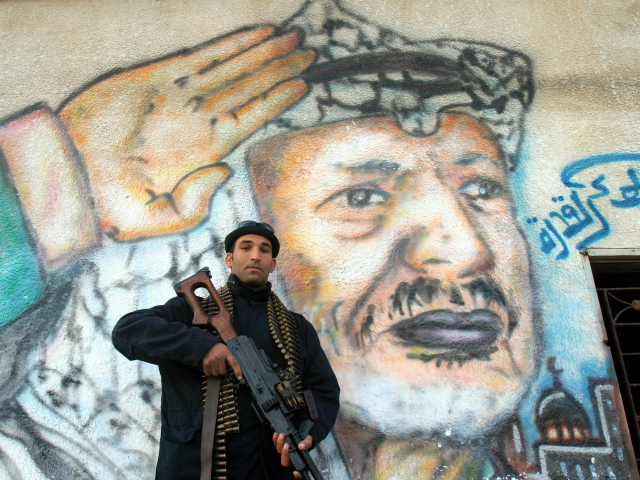 Abbas was elected in 2005, and his term in office expired in 2009.